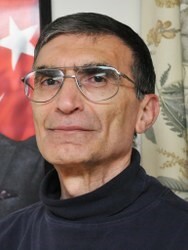 Dr. Aziz Sancar, Professor of Biochemistry at the University of North Carolina, Chapel Hill, has been awarded the Nobel Prize in Chemistry, announced on October 7, 2015. Dr. Sancar is recognized for his work on DNA repair. He is the first Turkish scientist to win the Nobel Prize. Born in Savur, Turkey, Dr. Sancar moved to the United States in the 1970s to continue his accomplished scientific career. In addition to his valuable contributions to his field, Dr. Sancar and his wife, Dr. Gwen Sancar, have also given back much to their local community in Chapel Hill. The Sancars founded Carolina Turk Evi, a community center that also provides graduate housing for Turkish researchers and visiting scholars. Dr. Sancar's Nobel Prize achievement is a major milestone not only for the scientific community, but also for North Carolina and for the Turkish American community.